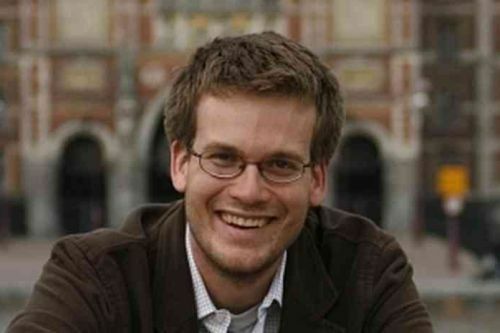 John Green is an American author of young adult novels. He is a New York Times Bestselling author and has also won the Printz Medal and Printz Honor. His novel The Fault in Our Stars has been optioned for film. When he was young, his goal was to become an earthworm scientist. This didn’t work out, so he decided to become a writer instead. John runs a vlog called Brotherhood 2.0 with his brother Hank. John lives in Indianapolis, Indiana. Notes: Will Grayson, Will Grayson was co-authored with David Levithan. Let It Snow also contains stories by Maureen Johnson and Lauren Myracle. What You Wish For: A Book for Darfur also contains stories by Jeanne DuPrau, Nikki Giovanni, Karen Hesse, Alexander McCall Smith, Naomi Shihab Nye, Joyce Carol Oates, Sofia Quintero, Francisco Stork, Joyce Carol Oates, Cornelia Funke, Ann M. Martin, Marilyn Nelson, Meg Cabot, R.L. Stine, Gary Soto, Nate Powell, Cynthia Voigt and Jane Yolen. John Green Synopsis: In The Fault in Our Stars by John Green, Hazel is a young girl who has been diagonsed with terminal cancer, although a medical miracle has bought her some precious time. But when a surprise guest suddenly appears at her support group, her story may have a happy ending after all. The novel has been optioned to film and is set to star Shailene Woodley and Ansel Elgort.